The information presented on this page was originally released on October 3, 2014. It may not be outdated, but please search our site for more current information. If you plan to quote or reference this information in a publication, please check with the Extension specialist or author before proceeding. VARDAMAN -- A dry September put a damper on Mississippi sweet potato production, but the rain in early October may help the crop remaining in the field. Stephen Meyers, sweet potato specialist with the Mississippi State University Extension Service, said sweet potato fields received about an inch of rain Oct. 3. “We’re optimistic that this rain will help size up the storage roots, but because of muddy conditions, producers will probably be out of the field for two days, and then resume harvest,” Meyers said. Soil conditions when the crop was transplanted in May and June resulted in a mixed bag of yield and quality for Mississippi’s sweet potatoes. “The transplant conditions go a long way to determine what kind of crop it will be, and Mississippi growers set transplants into everything from mud to hot, dry soil,” Meyers said. 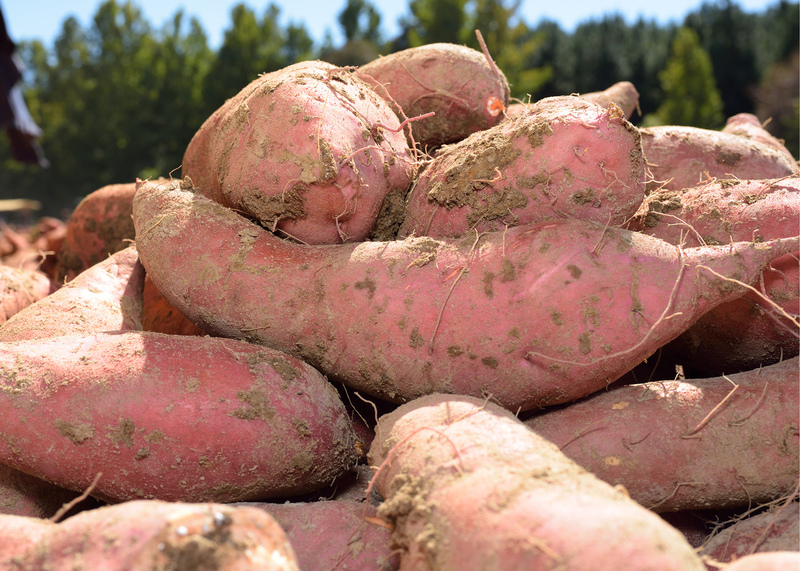 The U.S. Department of Agriculture estimated almost half the state’s sweet potatoes were in good condition by the end of September; 30 percent were fair and 22 percent were excellent. The crop was 41 percent harvested by that point, making it slightly behind a normal harvest schedule. The bulk of Mississippi’s sweet potato production is grown within a 40-mile radius of Vardaman in Calhoun County. Coming off excellent yields in 2013, producers increased planted acreage 22 percent to 22,500 acres this year, but weather conditions did not allow a bin-busting crop. The rain dried up in August, and the crop was mostly dry through September. This limited the size of the potatoes. “Most of our growers could use some rain right now to help size up the roots that are still in the field and to soften up the soil to reduce the skinning on what’s being harvested now,” he said. Benny Graves, executive director of the Mississippi Sweet Potato Council, said the crop being harvested is beautiful but small. Producers have not pushed to harvest quickly and are trying to allow time for a rain to fall. When harvest continues into November, producers run the risk of losing some of the crop when cold rains make fields too muddy for harvest. “This year we were about 10 days to two weeks late getting started on harvest, so we’ll need every day of October to dig them out,” Graves said. This year saw many sweet potato growers employ a crop rotation system with sorghum. Beauregard has long been the main variety grown in Mississippi, but this year, the new variety Orleans has gained a lot of ground. 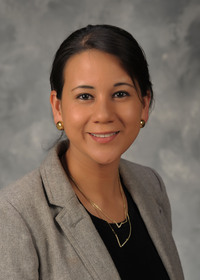 Alba Collart, Extension agricultural economist, said 2014 Mississippi sweet potato prices are up from last year’s.